Here at EHS Racing we can cater to your specific needs whether it be something as simple as setting up a specific fuel and timing map with your existing equipment, or a complete system overhaul. We have the capabilities in house to create a totally custom delivery system that is specific to your atv, utv, or bike. We have been testing and designing many different setups to see what actually works and what doesn’t. Most of the research comes from our own race bikes where we extensively test different operating pressures, spray loads and patterns, injector placements, injector quantity, cfm flow, intake tube length, size and placement. There are many factors in creating a system that will work well with the high HP machine you are building or have built. What we learn and develop all trickles down into the line of fuel controllers that we sell for ATV’s. The controllers that we use are designed to be very easy to use but still extremely functional. Most people don’t realize what this controller is capable of if setup correctly. One of the bigger hurdles we have faced is trying to set our controllers aside from the others that look similar to it in the industry. We spend a great deal of time testing different base maps, (which are all custom made here in house) and seeing the effects both on the dyno and in the field before we actually release it to the public. There are usually many scenarios we will figure into the design of each controller for example if the expected customer will usually alter the stock fuel delivery parameters. Whether it be with our air box covers and some type of exhaust system but defiantly not limited to that. We will also try to plan for things like higher lift cams, cc and compression changes and leave more than enough room to adequately supply the proper amount of fuel for those scenarios. 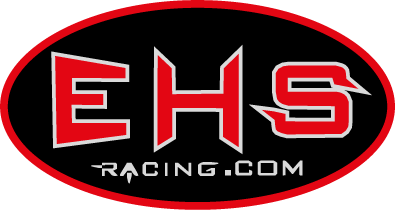 Here at EHS Racing we are proud say that what we use on our own race bikes is the same thing we offer to our customers. We take all the knowledge and countless amount of hours spent on and off the track and pass it along to our customers.